Do you want to know the nearest place to launch your boat or the best place to grab a cool drink and bite to eat while taking in the city architecture and boats along the river, or even a little history of the bridges that span the urban canyons of downtown? 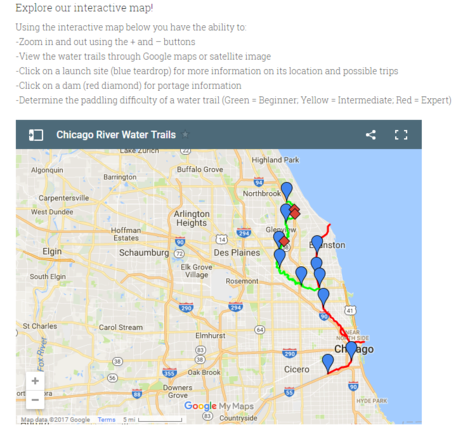 All of this and more is just a click away on Openlands' Paddle Illinois Water Trails: an interactive website designed to take you on a Chicago River adventure. Find out what's possible by visiting http://paddleillinoiswatertrails.org as your guide to this unique waterway. Thanks Openlands for your work on this great way to explore the Chicago River virtually.